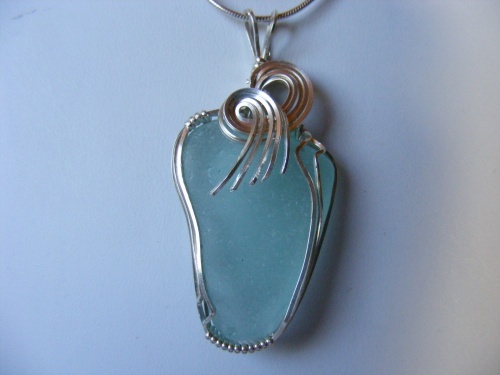 This gorgeous piece of authentic seaglass has been sculpted to make it a bit different than the others with its striking curls and dripping tail of sterling silver. Piece measures 2" from top of bail to bottom and 1" wide. Comes with a sterling silver chain.